ein hod: "We don't really have the original ending." This September marks 50 years since Jack Kerouac's On the Road hit bookshelves, stirred controversy and spoke in a new voice to a generation of readers. Today the beat travelogue continues to sell 100,000 copies a year in the U.S. and Canada alone. 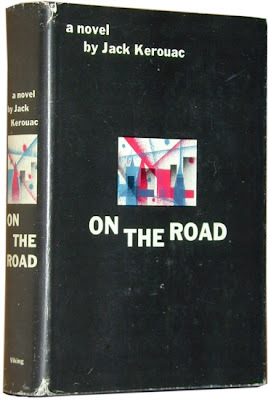 Legend has it that Kerouac wrote On the Road in three weeks, typing it almost nonstop on a 120-foot roll of paper. The truth is that the book actually had a much longer, bumpier journey from inspiration to publication, complete with multiple rewrites, repeated rejections and a dog who well, On the Road wasn't homework, but we all know what dogs do. But the scroll: That part's true. 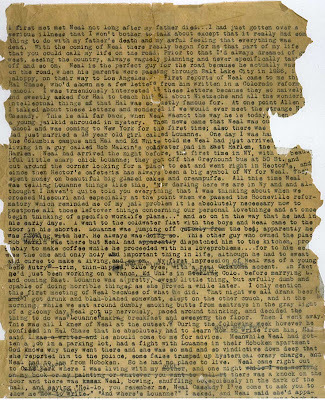 Jim Canary, the Indiana University conservator who's responsible for its care, says Kerouac typed about 100 words a minute, and replacing regular sheets of paper in his typewriter just interrupted his flow thus the scroll. But Kerouac's brother-in-law and executor, John Sampas, says the three-week story is a kind of self-created myth. "Three weeks" is what Kerouac answered when talk-show host Steve Allen asked how long it took to write On the Road. "And so this gave the impression that Jack just spontaneously wrote this book in three weeks," Sampas says. "I think what Jack should've said was, 'I typed it up in three weeks.'" Kerouac scholar Paul Marion agrees. "Kerouac cultivated this myth that he was this spontaneous prose man, and that everything that he ever put down was never changed, and that's not true," Marion says. "He was really a supreme craftsman, and devoted to writing and the writing process." In truth, Marion says, Kerouac heavily reworked On the Road first in his head, then in his journals between 1947 and 1949, and then again on his typewriter.